Back in 2013, Uruguay became the first country to legalize marijuana, but how much green can you get for your green? Cannabis advocates initially shouted for joy when Uruguay president Jose Mujica said it would be legalizing both medical and recreational use. Mind you, it has been federally legal to possess weed there since 1974. The recent laws affect the sale of cannabis, but according to its president, it will be nothing like Colorado, so hold your horses. How much recreational can $20 get? Here is the second caveat to Uruguay. If you go there for a weed weekend, you better have some friends, because one has to be a native Uruguayan or resident for at least 2 years to purchase at their dispensaries. Don’t even think about a fake ID, because all sales will be tracked with fingerprint point of sale identification. If you aren’t in the database as able to buy, you won’t get anything. Unlike Colorado, where you can buy 28 grams at a time, with no limit to frequency, in Uruguay, residents are limited to a total of 40 grams a month, with no single purchase being larger than 10 grams. If the system shows a person hitting their limit, it will automatically flag them for treatment or to monitor them to see if they are reselling their stash, which will still be illegal. 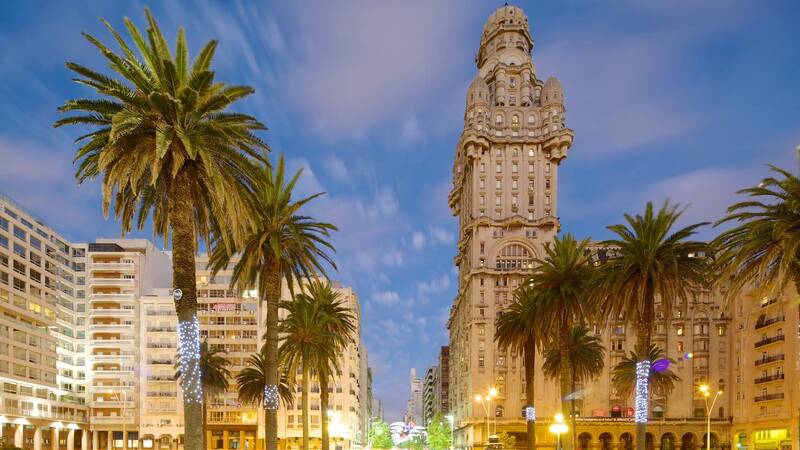 The public consumption laws in Uruguay are similar to the tobacco laws. Over 18 can smoke anywhere except public buildings or enclosed workplaces. Toking it up in restaurants, for example, would be off-limits indoors, but not on outdoor patios, though a particular establishment could prohibit it anyway. No use on public transportation. If you want to grow there, besides being a resident, you have to go and register with the government. Don’t worry though. You don’t have to stroll to a police station. Registration is done at the post office. Nice! Any household can grow 6 flowering female plants (consumption max of 480 grams a year, regardless of the number of people in a household), and groups of 15 – 45 people can form a Cannabis Club and grow up to 99 flowering female plants, but are limited to the same 480 gram a year restriction. There are plenty of tourist Bud & Breakfast locations, if you take the time to search. But as a visitor, you won’t be able to “buy” any bud legally, whether for $20 or $200. If on the other hand, you make friends with some locals, they can smoke you out, or give you a joint, or a bag, and it is yours! It is private selling that is illegal, not consumption or petty possession. If busted for violating the law, you could be fined from 50 to 2,000 Uruguayan peso. (That’s anywhere from about $2 to $87 U.S. dollars). No imprisonment is mentioned in the new law, but they will destroy the weed and kick the person off the user registry. Do you think that the government should control all public sales of cannabis in your country? Would this infringe too much on free enterprise? Let us know on social media or in the comments below.